Press Release: On Wednesday, March 7th 2012 at the Derwent Entertainment Centre in Hobart, Tasmania, IBF middleweight champion "The Real Deal" Daniel Geale defends his crown against Osumanu Adama, originally from Ghana but now based in the United States. This is Geale's mandatory defense of the title captured in Germany last May against now-retired Sebastian Sylvester. 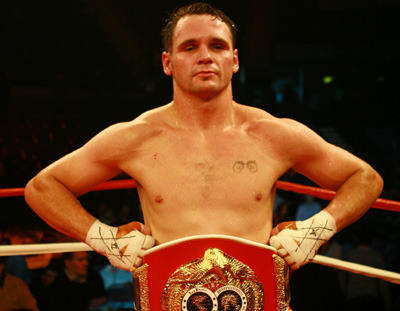 Geale's record currently stands at 26-1 with 15 KOs. Whilst his team negotiates with (true world middleweight champion) Sergio Martinez, (WBO champion) Dmitry Pirog and (WBA super champion) Felix Sturm, Geale never looks past the fight ahead and remains totally focused on his next challenger. Adama, a former Ghanaian middleweight champion, now lives and fights out of Joliet, Illinois and boasts a record of 20-2 with 15 KOs. His path to a shot at the title has seen him in his last three outings defeat Angel Hernandez for the vacant IBO world title in a shutout, defend successfully against Marcus Upshaw with a fourth-round knockout, followed by the systematic dismantling of Roman Karmazin over nine rounds. In typical African fashion, Adama is fit, confident and an aggressive come forward fighter guaranteed to apply extreme pressure from the opening bell, the big question is "does he have what it takes" to step up in class and on to the world stage, to face Geale. In the chief support, Sydney's "The Kid" Billy Dib will make a mandatory defense of his IBF featherweight title against Mexico's "Canilla" Eduardo Escobedo. Dib will look to continue on with his impressive form, after his last outing on November19th 2011 saw him stop the previously undefeated Italian challenger Alberto Servidei, in just 2 minutes and 38 seconds of the opening stanza. Both fighters have the potential to render the judges unnecessary in this bout with Dib possessing a record of 33-1 with 20 KOs, while Escobedo is 32-3 with 23 KOs and coming off a second round, five-knockdown demolition of Joksan Hernandez. Also on the card, Australia's heavyweight Kali Meehan faces Travis Walker of the USA over twelve rounds. The remainder of the undercard features Steve Lovett, Steve Heremaia, Aaron Lai and Corey McConnell.